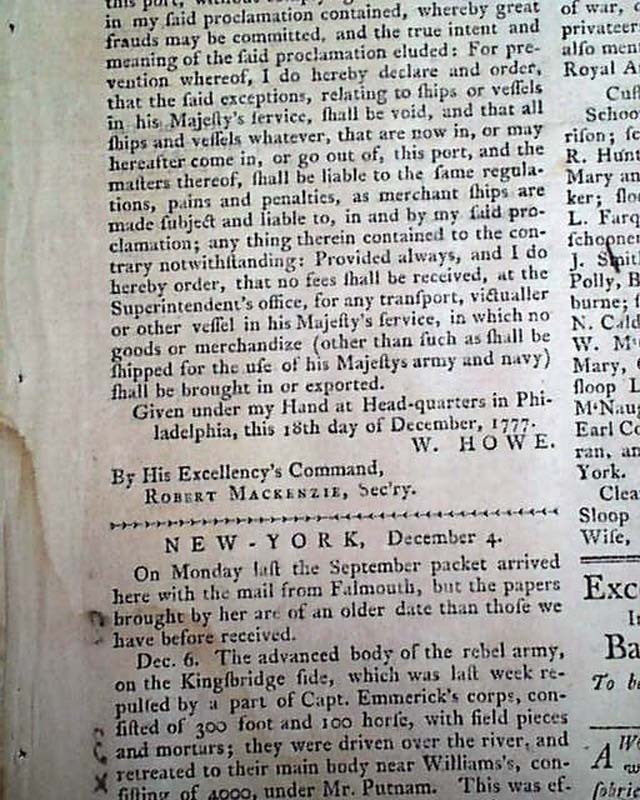 This was a Tory (supportive of the British cause) newspaper which began in 1775 and closed shop in May of 1778 when the British evacuated Philadelphia. 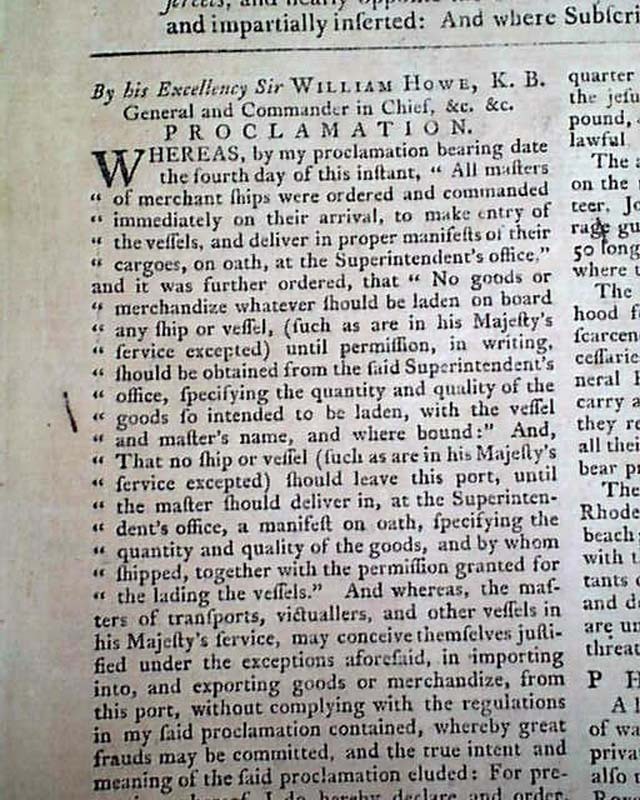 Two-thirds of the first column on the front page is a: "Proclamation" signed in type by: W. Howe concerning imports & exports through the port of Philadelphia (see). 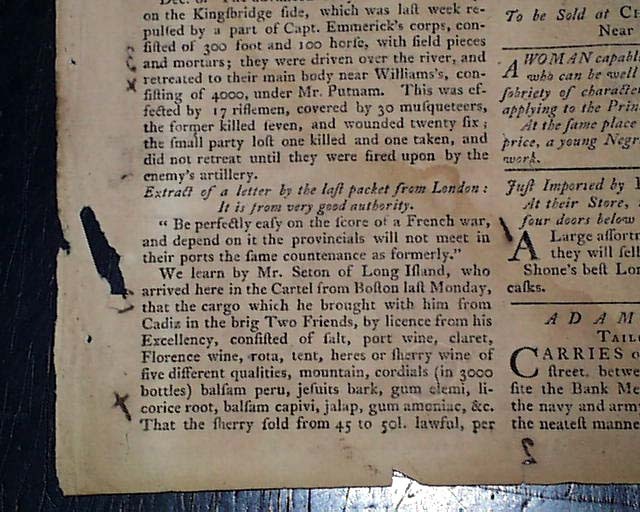 Also on the front page is a report noting: "The advanced body of the rebel army, on the Kingsbridge side...consisted of 300 foot & 100 horse with field pieces & mortars; they were driven over the river & retreated to their main body near Williams's consisting of 4000 under Mr. Putnam..." with a bit more (see). 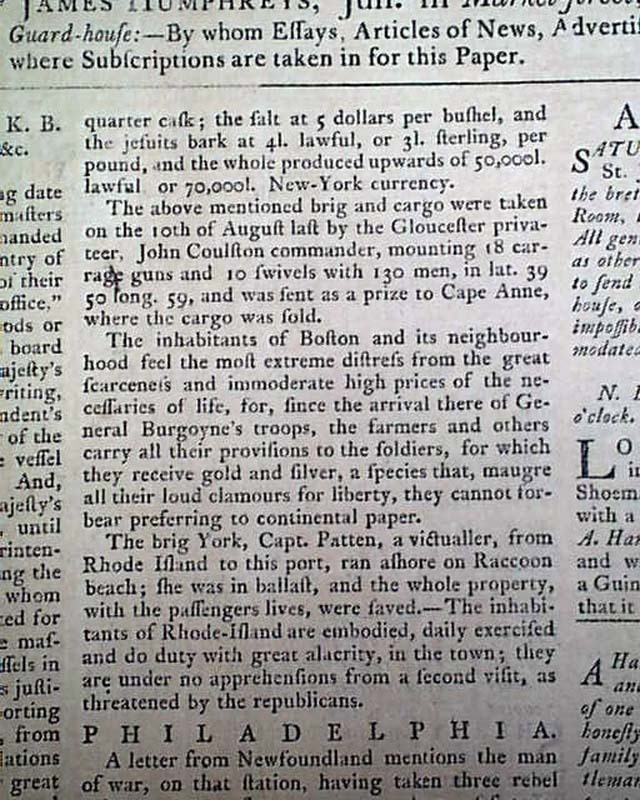 There are other front page war-related items including: "...The inhabitants of Boston & its neighbourhood feel the most extreme distress from the great scarceness & immoderate high prices of the necessaries of life, for since the arrival there of General Burgoyne's troops the farmers & others carry all their provisions to the soldiers..." and a bit more (see). There is a ftpg. 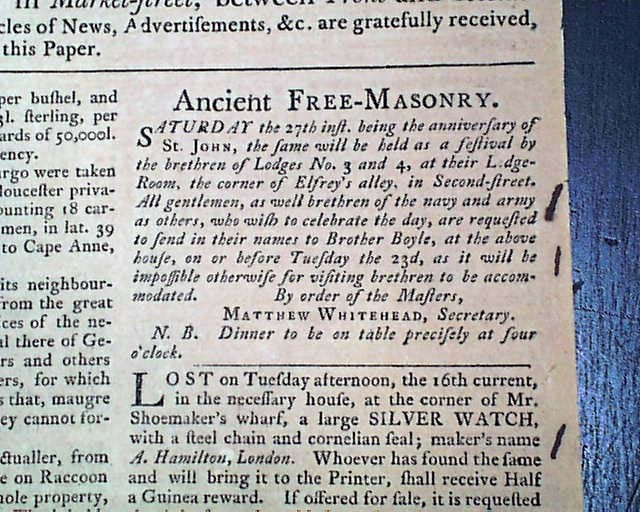 ad headed: "Ancient Free-Masonry" (see). The back page is entirely taken up with ads. 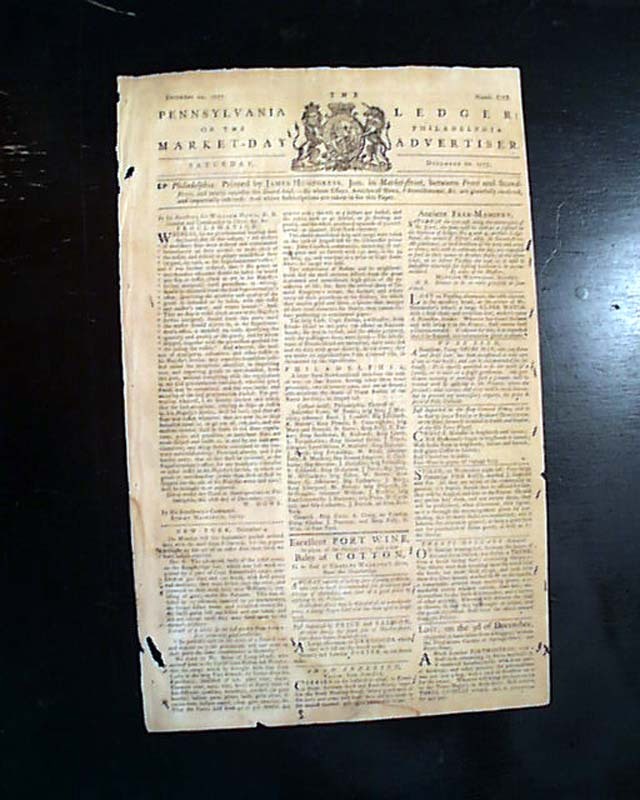 This is a single sheet newspaper, as printed. 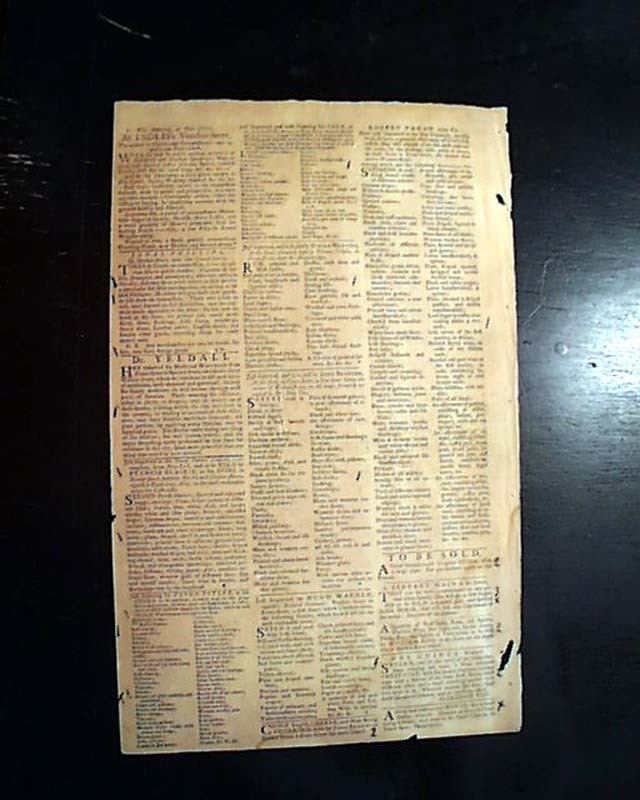 Included is a photocopy of a portion of a previous issue which notes that Saturday editions will be "half sheet" (single sheet) in future. Minor paper near the bottom of the blank spine margin not affecting any text, very light damp stain to a lower corner, generally very nice condition. 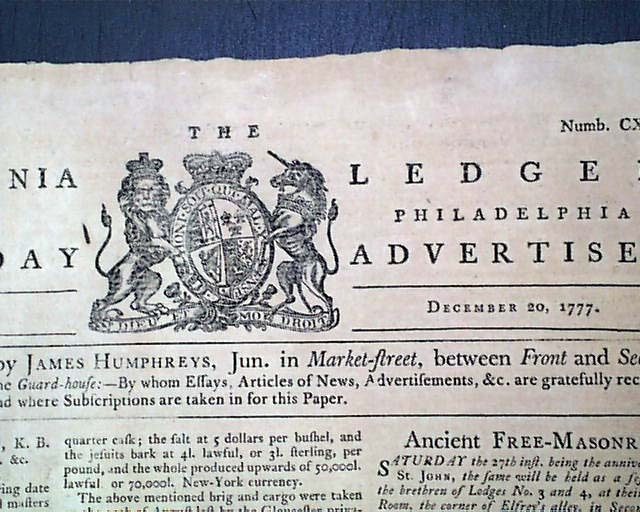 Not surprisingly, being a Tory newspaper the masthead features an engraving of the Royal coat-of-arms.